It works this way because a checkbox item based on a LOV is generated as a set of checkbox input items within a fieldset. I’ve published two three APEX Region Plugins on apex.world that allow you to incorporate a simple Google Map region into your application. They’re easy to use, and you don’t need to apply for a Google API key or anything like that (although you can plug your key in if you have one, which enables a few additional features). This allows you to add a small map to a page to allow the user to select any arbitrary point. If you synchronize it with an item on your page, it will put the Latitude, Longitude into that item. If the item has a value on page load, or is changed, the pin on the map is automatically updated. This allows you to add a map to a page, and based on a SQL query you supply, it will render a number of pins on the map. Each pin has an ID, a name (used when the user hovers over a pin), and an info text (which can be almost any HTML, rendered in a popup window when the user clicks a pin). If the user clicks a pin, the ID can be set in a page item. Visualise a large set of data points on the map using the Google Maps “Heatmap” visualisation. All you need to do is supply a SQL Query that returns the data points to show, and the visualisation library does the rest. You can set the Map Style (e.g. to the light blue/greyscale style you see above) easily on this plugin; just copy-and-paste the style codes from a site like snazzymaps.com. I’m very open to feedback, issues and contributions on all of these. Best way is to raise an issue on the associated github page. Have fun! Refer to my Plugins page for future updates. Sometimes it’s the simple little things that can add polish and make your Apex application shine. 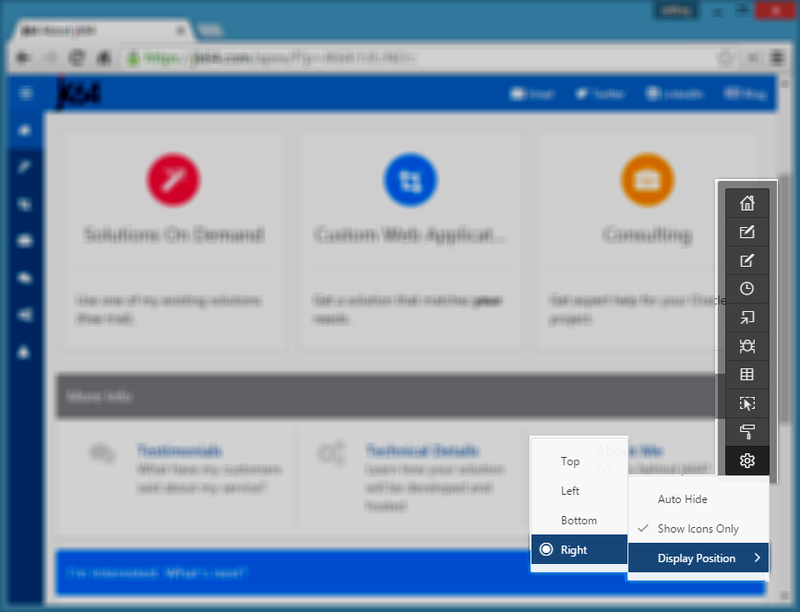 One simple little thing that you can do is add a Refresh button to improve the usability of your Apex 5 calendar. This makes it easy for the user to see recent changes on the database, e.g. if events had been added or changed since the page had last been loaded. This calls the refetchEvents method of the FullCalendar object. Replace the “eventscalendar” part of the id with whatever static ID you set on the Calendar region in step #1. In this example, I’ve set the timer to go off every 30 seconds. Not only does it refresh the calendar, but the user gets feedback on what’s going on because the refresh button icon is spinning. Be careful not to set the timeout too low, or else your database could get very busy! One of the things that used to bug me about the Apex developer toolbar was that it sometimes obscured the content I was trying to test at the bottom of the page; you could turn it off but then next thing you want to access it you have to jump through the hoops to turn it back on again. Using the above should be faster in your queries than calling v() to get these values. Note that the alias 'SESSION' won’t work like it does with v(). The context is managed by the database package APEX_050000.WWV_FLOW_SESSION_CONTEXT which is an undocumented API used internally by APEX to synchronize the context with the associated APEX attibutes. Incidentally, the comments in the package indicate it was authored by Chris himself. Personally I was hoping that a bit more of the session state would be replicated in the context, e.g. application ID, page ID, request, debug mode, application items and page items. Sidebar: to see all contexts that are visible to your session, query ALL_CONTEXT. To see all context values set in your session, query SESSION_CONTEXT. Of course, don’t query these in your application code to get individual values – that’s what the SYS_CONTEXT function is for. Note: you may or may not want to include the preload tag, especially if you have more than one audio control on a page.